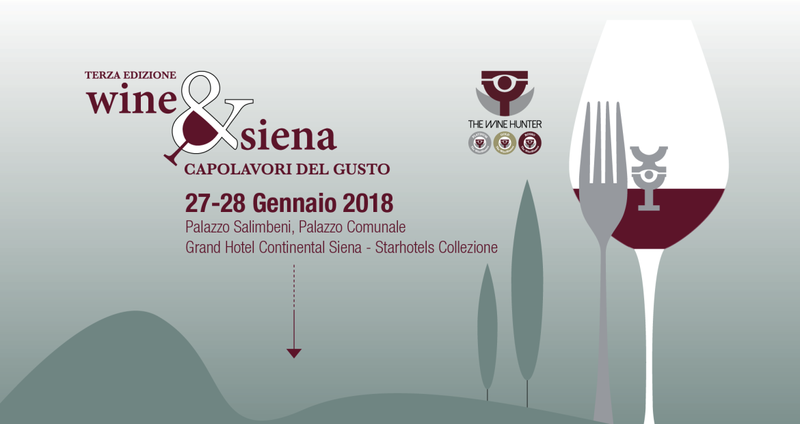 On 27 and 28 January Wine&Siena will be here once again. This delightful taste of excellent products from our territory (and not only) has arrived to its third year. More than 160 wine producers and 30 culinary artists will present their winning entries to the WineHunter Award, the certified quality award given by the Merano WineFestival tasting committee. Siena will host the tasting tables in various locations to allow visitors to admire this beautiful town while moving from one building to another. As always, we’ll be in Rocca Salimbeni, a historic building in the center of Siena dating to the 14th century. This year the organizers have decided to increase opening times, which means that the products can be tasted from 11:00 a.m. to 7:30 p.m. both days, with no interruption for lunch as in the past. Tickets can be purchsed online directly on the official website of the event, or in person at the reception area that will be organized in Piazza Salimbeni. Tickets purchased online can also be picked up there. And should anyone wish to – or have to – dedicate only half a day to the visits and tastings, tickets for the afternoon only can be purchased from 3:30 p.m. Maybe it’s because we’re in full ski season that here there’s a reduced price as well! We look forward to seeing you at Table 92, in the Sala Peruzziana of Palazzo Salimbeni. Take care to be there!